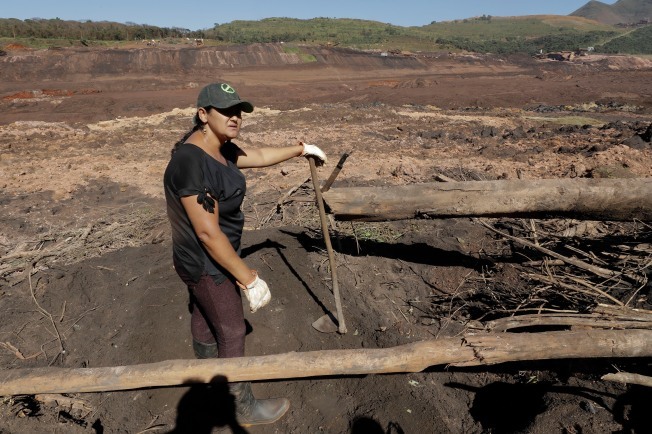 Under a scorching sun, Tereza Ferreira Nascimento on Wednesday dug through the mud with garden tools and her hands in search of her brother Paulo Giovane dos Santos, resigned to the reality that he was most likely dead six days after the collapse of a Brazilian dam holding back mine waste. "We were sensing a smell here, more or less, so we are digging to see if we find him," said Nascimento, 41. 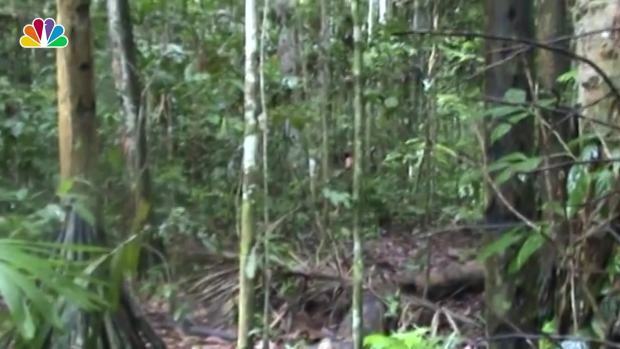 Brazil's National Indian Foundation released footage from 2011 of an indigenous man who is believed to be the last surviving member of his tribe chopping down a tree in the Amazon. It could be several days or weeks before many bodies are found, as the mud extends several yards (meters) deep. Firefighters have to be careful in spots where it is particularly mushy so as not to become trapped themselves. The release of the muddy waste has already turned the normally greenish water of the Paraopeba River brown about 10 miles (18 kilometers) downstream from the southeastern city of Brumadhinho, where the broken dam is. The Paraopeba flows into the much larger Sao Francisco River, which provides drinking and irrigation water to hundreds of municipalities and larger cities such as Petrolina, in the state of Pernambuco, 1,400 kilometers (870 miles) from Brumadhino. Authorities are focused on the Retiro Baixo hydroelectric dam and plant complex about 185 miles (300 kilometers) from Brumadinho. Officials and environmentalists hope the dam's reservoirs can be used to isolate the muck so it can be cleaned before that water is released and travels farther downstream to the Sao Francisco River. The muddy water and waste, moving about 0.6 mph (1 kph), was expected to reach the dam between Feb. 5 and Feb. 10, according to the Geological Survey of Brazil. The survey said the waste was destroying vegetation and aquatic life. Vale said in a statement it planned to install a fabric barrier to retain residues where the river reaches the city of Para de Minas, about 25 miles (40 kilometers) from Brumadinho. The company may also build levees near the Brumadinho mine in an effort to prevent the sediment from moving. Dramatic footage of an abandoned burning building in downtown Sao Paulo, Brazil, shows the moment the multi-story building collapses. "I will keep coming. ... 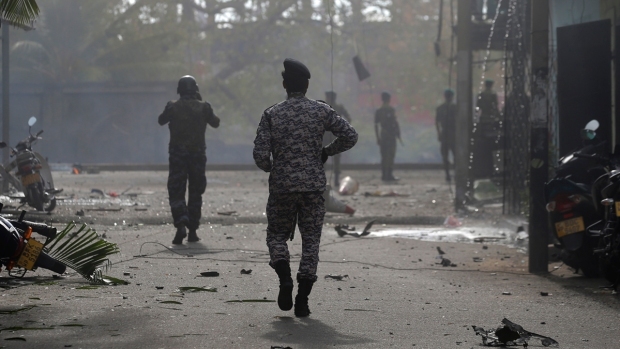 I just want to give my son and nephew a dignified burial," he said. Associated Press reporter Diane Jeantet reported from Rio de Janeiro. AP reporter Renato Domingues, in Brumadinho, contributed to this report.